I started out with an idea and it gradually took shape and accelerated into an achievement. 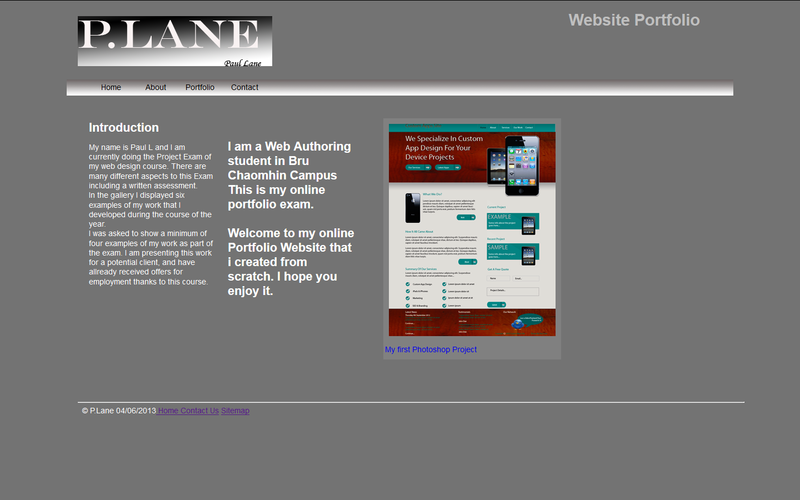 I feel that the work that I put in was evident in the Blog page. 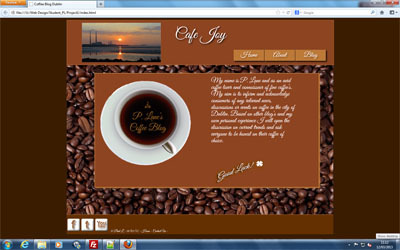 I did in the beginning want to keep it very minimal but was immersed in trying to perfect it into a user friendly site. My major difficulties were as usuall trying to find small mistakes in the coding. As I was a regular coffee drinker and frequented a lot of cafe's it was not difficult to talk about one of my favourite passtime's. 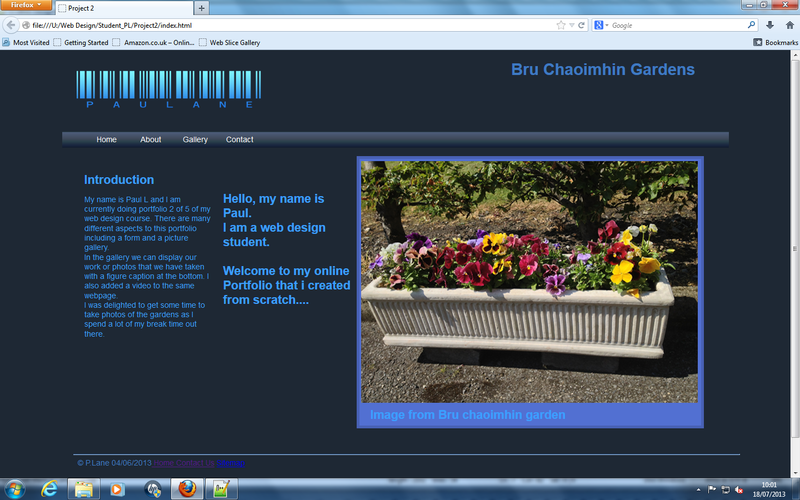 It was a great opportunity to upload video and images for this website. I spent about 45 minutes waiting fo the video to up-load and about half an hour taking pictures of the campus. I was able to incorporate a business style design for my Portfolio project and decided to go for a striking colour scheme. I had some work that I created over the year and decided to use this work.